At a time when so many political issues are prevalent and polarizing, it is not surprising that brands also reflect and communicate the surrounding issues in their promotions and marketing. 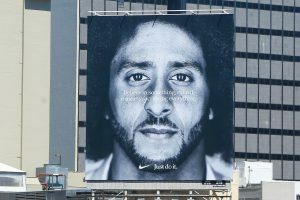 The notorious Nike campaign, where San Francisco’s 49ers quarterback and activist Colin Kaepernick made a testimonial against racism and police brutality in the US, was just a start. This indicates that consumers no longer want to identify with brands and companies on a superficial level. The brand’s political views, it seems, have joined other determinants such as price, usefulness or environmental friendliness of a product. However, starting with such issues, brands have to be aware that entire production processes will have to meet these standards and consumers will ask unpleasant questions from time to time. When it comes to the visualization of progressive ideals, “diversity” becomes the keyword. More and more agencies and brands are realizing that they have to make socially important topics such as diversity visible in their campaigns. But not only ads are evolving. The whole advertising industry has burning issues such as the underrepresentation or misrepresentation of women or members of ethnic, religious, and sexual minorities on the table and will have to acknowledge them because it’s hot topics like these that move customers. Such marketing approaches are promoted in the US by initiatives like The Commercial Directors Diversity Program. Founded by the Directors Guild of America and the Association of Independent Creative Producers, the CDDP promotes equal opportunities for women and other underrepresented groups in the advertising industry, providing training programs and other education opportunities that can be used to build successful and powerful campaigns for big brands such as Adidas, Amazon or AT & T.
It is fairly certain that in the future important topics such as diversity, equality, human rights, and environmental issues will play key roles in digital marketing. It will also become very difficult to keep out of it in a calculating, diplomatic way since consumers today are increasingly ready to enter into a dialogue and are not afraid to go public and join forces over topics they feel passionate about. The brands can only be with them – or against them.